Find the hottest drones for home use, whether you're a budding photographer or an amateur pilot. Browse professional and commercial drones from top brands, including Intel, DJI and Yuneec. Explore drone software for applications such as real estate, agriculture and more. We’re helping organizations use drone technology to change the way people understand, analyze and discover the world around them. As an all-in-one resource for drone technology, we’ll act as an extension of your IT team. Drone technology has changed the worlds of photography, videography and surveillance. With applications in agriculture, real estate, construction, education and public safety, drones have become a versatile technology that continues to evolve. 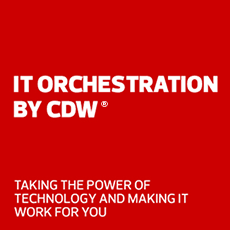 CDW is your all-in-one resource for drone technology. We're an extension of your IT team with a deep bench of experts and proficiency in the latest solutions. This field-proven experience focuses on your organization's needs, from assessment to deployment, to put you ahead of challenges on day one.